A new report by Bankrate.com suggests the reason so many consumers prefer not to use a bank is not all that mysterious. It can be expensive. The headline number on the company's latest checking account report has to do with the cost of using an ATM. Using an in-network cash machine usually costs nothing, but the cost of using an out-of-network ATM jumped again this year. The study found that, on average, banks charge non-customers $2.90 to withdraw money. It's not much of an increase from 2015, but it is the 12th straight year that cost has risen. If your bank also slaps you with a fee to use an out-of-network ATM, that fee averages $1.67, up 1.8% from last year. Put the two numbers together and using an out-of-network ATM will cost an average $4.57, a record high for the 10th straight year. 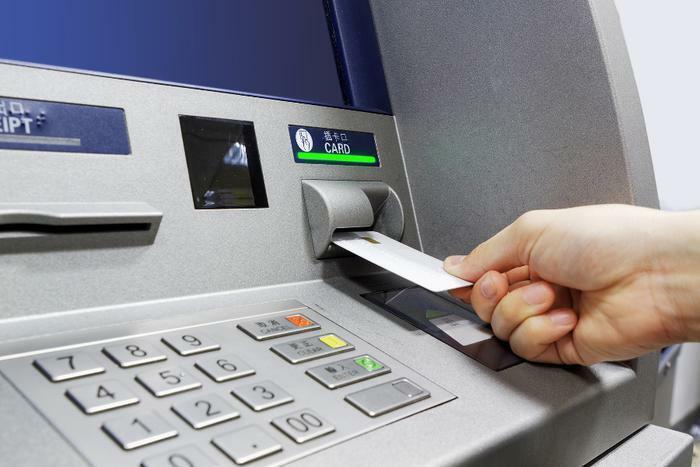 ATM fees are a sweet spot for banks, according to Kevin Barker, a senior equity analyst with Piper Jaffray, who told Bankrate that he expects ATM fees to continue rising year-after-year. But while it may cost more to use an out-of-network ATM, the report shows many other bank fees are not going up. There was actually a drop in the average overdraft fee. "The average overdraft fee has been increasing year in and year out for 17 consecutive years. And that streak has been broken this year," said Greg McBride, Bankrate's senior vice president and chief financial analyst. "I think it's too early to say that we've reached the peak, particularly because we've seen more increases than decreases." And for the first time since 2009, there was a slight increase in the number of banks offering free checking accounts. The study found some 38% of banks in the survey offer accounts that don't levy fees or require a minimum balance. That's a slight increase from 2015. Even the banks that still charge for checking don't charge as much. Banks have dropped the monthly charge on checking accounts by 1.4% to $5.78 and lowered minimum balance requirements to an average of $670. If anything, the Bankrate report underscores the need for consumers to take advantage of the growing number of reward or preferred checking accounts more banks are offering. These accounts don't charge a service fee and often pay interest on checking account balances that are higher than a passbook savings account and some CDs. They usually include other perks, such as reimbursement of all ATM fees, which as the Bankrate report notes, can lead to significant savings. And where you bank is important. You are more likely to find rewards checking and lower fees at credit unions and small community banks than the big national banks.